I have shared this a few times, and I am going to continue to do so. This SIMPLY CANNOT STAND IN THE UNITED STATES OF AMERICA. Please share. Please call your Congressman. WE simply cannot let this stand. Where is the FBI? Where is Homeland Security? Where is the Justice Department? Oh yeah, they are worried about Christian groups and supplying Mexican thugs with firearms. SICKENING! -W.E. Though Gilani and his organization is suspected of committing assassinations and firebombings inside the U.S., and is also suspected of the beheading murder of Wall Street Journal reporter Daniel Pearl in Pakistan, the terrorist camps spread through the country continue to expand in numbers and population. 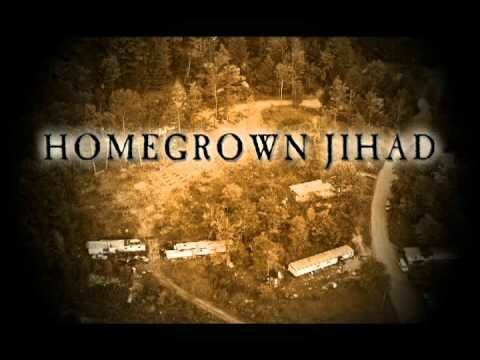 A documentary called “Homegrown Jihad: Terrorist Training Camps Around the U.S.” provides compelling evidence of how “Muslims of America” operates with impunity inside the U.S. In the video, producers visited some camps, attempted to visit others and interviewed neighbors and local police officials. It also include excerpts of the “Muslims of America” recruitment video. Get “Homegrown Jihad: Terrorist Training Camps Around the U.S.” and share it with your neighbors, your local police officials and your representatives in Congress. The recruitment video shows American converts to Islam being instructed in the operation of AK-47 rifles, rocket launchers and machine guns and C4 explosives. It provides instruction in how to kidnap Americans, kill them and how to conduct sabotage and subversive operations. Jamaat ul-Fuqra’s attacks on American soil range from bombings to murder to plots to blow up U.S. landmarks. A 2006 Department of Justice report states Jamaat ul-Fuqra “has more than 35 suspected communes and more than 3,000 members spread across the United States, all in support of one goal: the purification of Islam through violence.” In 2005, the Department of Homeland Security predicted the group would continue to carry out attacks in the U.S.
Wall Street Journal reporter Daniel Pearl was attempting to interview Jamaat ul-Fuqra’s leader, Gilani, in 2002 when he was kidnapped and later beheaded. One year later, Iyman Faris, member of both Jamaat ul-Fuqra and al-Qaida, pleaded guilty in federal court to a plot to blow up the Brooklyn Bridge. Gilani was at one time in Pakistani custody for the abduction of Pearl. Intelligence sources also suggest a link between Jamaat ul Fuqra and Richard Reid, the infamous “shoe bomber” who attempted to ignite explosives aboard a Paris-to-Miami passenger flight Dec. 22, 2001. Muslims of the Americas Inc., a tax-exempt organization, has been directly linked by court documents to Jamaat ul-Fuqra. The organization operates communes of primarily black, American-born Muslims throughout the U.S. The investigation confirmed members commonly use aliases and intentional spelling variations of their names and routinely deny the existence of Jamaat ul-Fuqra. The group openly recruits through various social service organizations in the U.S., including the prison system. Members live in compounds where they agree to abide by the laws of Jamaat ul-Fuqra, which are considered to be above local, state and federal authority. U.S. authorities have probed the group for charges ranging from links to al-Qaida to laundering and funneling money into Pakistan for terrorist activities. The organization supports various terrorist groups operating in Pakistan and Kashmir, and Gilani himself is linked directly to Hamas and Hezbollah. Seven of the compounds have been identified as training facilities: Marion, Alabama; Commerce, Georgia; Macon, Georgia; Talihina, Oklahoma; York County, South Carolina; Dover, Tennessee and Red House, Virginia. Other compounds are located in California, Colorado, Texas, Maryland, Ohio, Pennsylvania, Washington, Michigan and West Virginia. You are now without excuse: See the terrorist training camps in the U.S. with your own eyes. See excerpts of the recruitment video by “Muslims of America” aka Jamaat ul-Fuqra. See “Homegrown Jihad: Terrorist Training Camps Around the U.S.” with your own eyes.